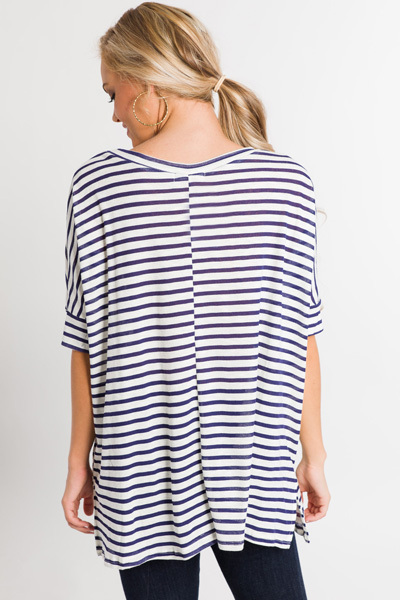 Striped and oversized.. yes, please! 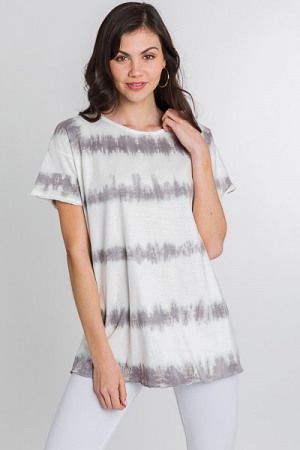 Cotton blend fabric is lightweight and super stretchy. 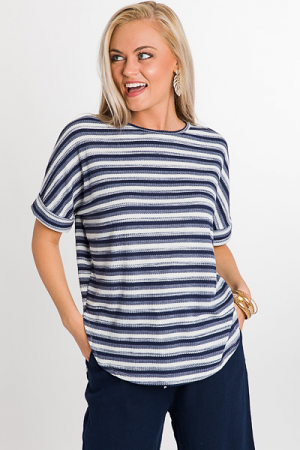 Stripes are navy- perfect for pairing with dark denim.